The daydreamer in every horror fanatic has fantasized about the existence of monsters at some point in their life: Harry Potter fans have spent hours in their imaginations strolling the halls of Hogwarts and horror fans have stared into cemeteries hoping for gateways to Midian; or ventured into the woods hoping to bump into a werewolf or man eating yeti. To us, the existence of monsters is akin to a child’s hope that Santa Claus is out there somewhere, fighting Iraqi soldiers. Adam Green’s latest feature – his first since 2010’s Hatchet II – is the product of a lifelong horror fan who’s always hoped monsters exist deep down, despite adult logic telling him otherwise. On top of that, Digging Up The Marrow is a love letter to horror and its die hard fans; conveyed in the style of a mildly self-deprecating mockumentary. 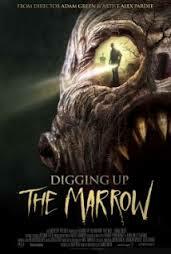 Digging Up The Marrow stars Adam Green and his real life cinematographer, Will Barratt; playing themselves as they make a documentary about monster make-up. It features an array of cameos from fellow actors, directors and artists discussing monster effects as if it were a real documentary. However, after a meeting with a crazy fan named Dekker (Ray Wise) – an ex-detective who claims to have proof of the existence of monsters – Adam and Will embark join him on a mission to capture them on film. To Adam and Will, Dekker is just an old loony who makes for entertaining subject matter, but they soon realize he might not be so crazy after all. Adam Green – much like his friend and oft-collaborator Joe Lynch – has a loyal fan base because he’s a fans director, who engages with us regularly; so to play himself in a role is a great way to give us more of the man we crave like hotcakes. I myself am a huge Adam Green fan: as a filmmaker he caters to my tastes and as a person he’s genuine and funny shares my enthusiasm and passion for horror, so to see that portrayed in an on-screen role was fun and fresh. 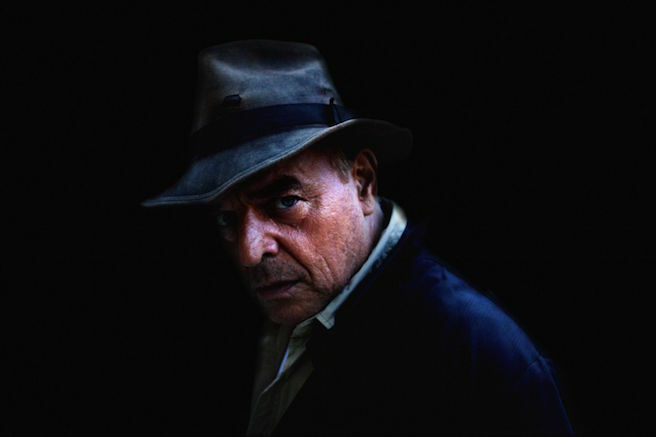 Casting Ray Wise in a faux-documentary isn’t going to win points for authenticity, but it breaks the scoreboard in terms of pure entertainment: he effortlessly oscillates between chewing scenery, exercising his comedic chops and dramatic intensity, just like any bonkers monster believer should. It’s a role where Wise gets to showcase the spectrum of his acting abilities and I can’t think of any other actor who could have played this part better; or even on par. For all I love Adam Green, I found Digging Up The Marrow to be a pleasant surprise: in an age of horror where pseudo-documentaries and found footage films take up a large, unwanted space; Adam Green has managed to mash them to produce yet another outstanding entry to his body of work.